A custom printed supporters flag to show your team pride! Cheer on your team with pride! 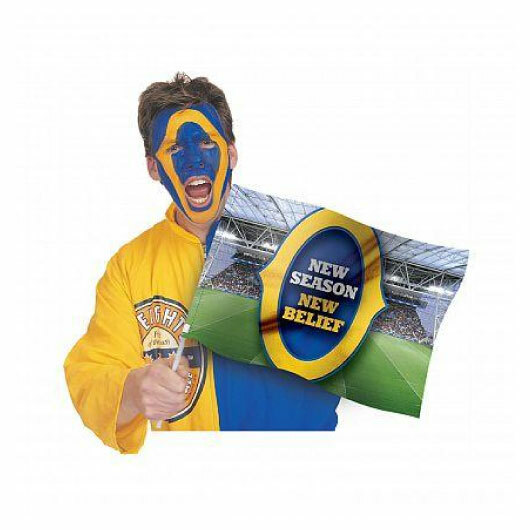 These small supporters flags are ideal for both events and sporting matches. They're available with branding on one side in a full colour sublimation of your message and team emblem. What are you waiting for? Get passionate and support your team today!